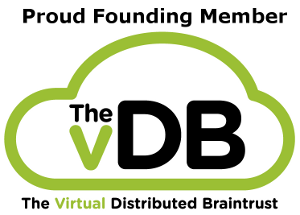 So I passed VCP5-DCV today. In typical #vDB fashion, I was the last of the group to actually get this cert in a group of significant over-achievers. VCP was my first certification in IT, having worked in the space for some time, I honestly didn’t see much need in certification. I felt primarily that if I could do my job with the tools that I used daily, then why did I need a piece of paper to tell me that I was proficient at using it? I recall meeting many paper MCSE4’s in the mid to late 90’s. It seemed like there was a time as well that you would not be considered for a job if you didn’t have the basic A+, TIA, MCSE certs as well. I really was just too lazy to sit down and do the work required to study and pass the exams. 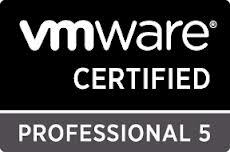 It wasn’t until I started working with the VMware products that I considered getting certified. I got my VCP4 when I was still working as a standard virtualization and storage engineer with Toshiba back in 2010. I should have gotten my VCP5 when it was first released, primarily because then I wouldn’t have had to take the What’s New course if I would have taken the test prior to the grace period expiring. Then I changed jobs and careers and the immersion into that simply put any studying on hold. Now with my new position, certification was a requirement, so I buckled down and spent a week immersed in study and took and passed the exam today. I used the resources from this post I did a while back, so if you are looking for concise guides to assist you take a look here. That said, I seem to have bitten the cert bug and will be scheduling VCP5-Cloud and VCP5-Desktop soon in hopes to rounding out a better balance of the basic technologies. As for the VCAP exams, I might have to hold off a bit on those since I’m not doing day-to-day administration as I used to I’m not sure if I will have the time to dedicate to the more advanced certifications, but you never know. So, I’d say if you have been thinking about getting certified, but have not yet pulled the trigger, I say go for it. Frankly it has been a valuable starting point for me with customers and peers, primarily because it sets a base level of comprehension that can be used in discussion and information sharing. One last quick note, I’ll be at the Phoenix VMUG this coming Thursday, so stop by and say hi if you are in the area. Last chance to register is today. Gabe- Just wanted to let you know that I was one of many that never thought it was that important to get certified. When I read this blog a couple of months ago, you convinced me to go for and attain my VCP5-DV at VMworld. Thanks!